Belmont was established following a silver strike in 1865. Other minerals, such as copper lead and antimony, were also mined. 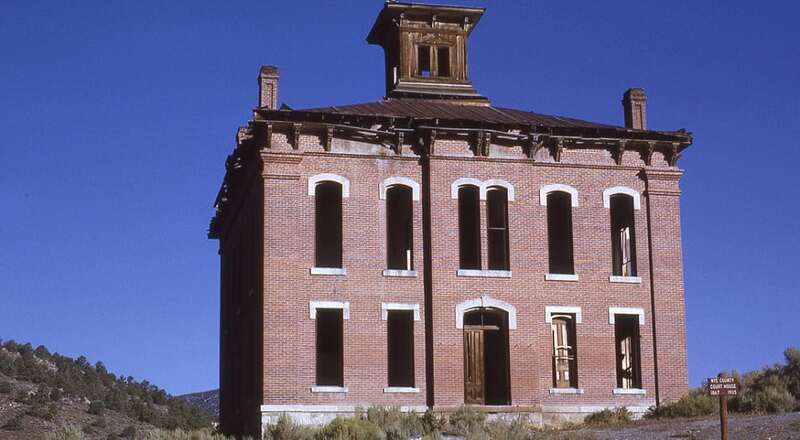 In 1867, Belmont became the county seat of Nye County. The town boasted four stores, two saloons, five restaurants, livery stable, post office, assay office, bank, school, telegraph office, two newspapers, and a blacksmith shop. During the 1870s it was known as a major mining boom town producing silver, and was rumored to have a population of 15,000. As the price of metals fluctuated, so did the fortunes of the town. By 1887, several of the mines closed. In 1905, the county seat of Nye County was moved to Tonopah. This spelled the beginning of the end.